Looking up definitions in an English – English dictionary forces you to understand meanings in English. Sometimes, translation is quick and easy but can miss out vital information: information which will increase your English knowledge and help you to get the IELTS band score you need. A good dictionary should give a word definition, pronunciation and word type. Other information is a bonus. 1 Pronunciation: a phonetic transcription of the target word is given and this can be played over your headphones or speakers. The transcription is for American English but pronunciation variations are often highlighted. 2 Synonyms: a list of synonyms is given. This is particularly useful as it breaks these down into word type e.g. Google Dictionary gives synonyms for “paddle” as both a verb and a noun. 3 Definition: the definitions given are comprehensive and clear. 5 Related Phrases: this is very interesting to a learner of English. It helps to extend the understanding and use of the target word. The related phrases are linked to their own definitions. The word study is linked to case study and study group. There are other related phrases. 6 Usage examples: these link to external sources. This provides lots of extra reading practice for your before your IELTS exam. 7 Web definitions: these offer alternative definitions of your target words. All in all, Google Dictionary is a great study tool. It has a clean, simple interface and is always available when you are online. It is a fantastic complement to your book-based study dictionary. Bookmark the address: www.google.com/dictionary. Try to use this fabulous tool regularly. Read about pronunciation for the IELTS exam here. Posted in: general, tools, vocabulary. 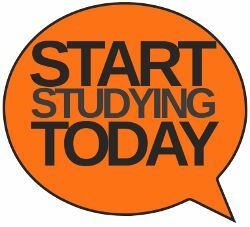 Nombre de http://www.ieltsonly.co.uk a GoogleReader!